Kenneth Zammit Tabona (b. 1956) is an eminent Maltese artist and illustrator. Perhaps best known for his watercolor depictions of Maltese interiors and landscapes, Kenneth Zammit Tabona provides a multifaceted look at Malta, his home that have been described as nostalgic poems in colour. His fuoridentros, a term coined by the late lamented Professor Fr Peter Serracino Inglott, are timeless narratives of still life within a space cluttered with Louis XV chairs, chinoiserie, Maltese silver and the ubiquitous chessboard tiles. The denizen of these paintings is more often than not the artist’s beloved black and white tomcat Felic. The theme of the landscape often features as one of the most abiding concerns within the artist’s oeuvre. Landscapes feature out of the windows of the fuoridentros and on the walls of these beautiful rooms with their billowing curtains; dominating a particular social scene or interior, often framed through a compositional device. Zammit Tabona has over the last thirty years produced a body of work that translates the balmy atmosphere of a Mediterranean summer evening or a storm at sea within his unique pictorial language. Swirls of color expertly rendered through the aqueous watercolor medium fluidly and effortlessly evoke the Mediterranean coastline, with its sublime light and tranquil atmosphere. Perhaps inspired by his visits to Morocco and India, but in the tradition of the German school of watercolour, the artist uses strong colours within his paintings; more often than not rendered weightless and texturally three dimensional; these earthy reds and opalescent blues create a jewel-like effect of glowing warmth that enhances the sense of classical vitality and joie de vivre in which the artist evidently revels. Zammit Tabona’s paintings have long been part of important art collections and remain ever popular and despite their innate sophistication and sometimes idiosyncratic style. The artist’s success, however, has not been limited to our shores alone; including the Maltese Embassies in Berlin and Paris in 2005 and 2010 and Harrods in London in 2012. 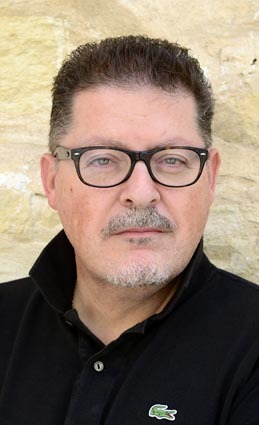 Zammit Tabona is also presently the Artistic Director of the Manoel Theatre, Europe’s oldest fully functional national theatre, and the originator and artistic Director of the highly successful Valletta International Baroque Festival. Kenneth Zammit Tabona is a well known writer and is the founder president of the Friends of the National Museum of Fine Arts. He is Vice President of Perspectiv, the European Association of Historic Theatres and on the Board of REMA; Reseau Europeeen de Musique Ancienne.